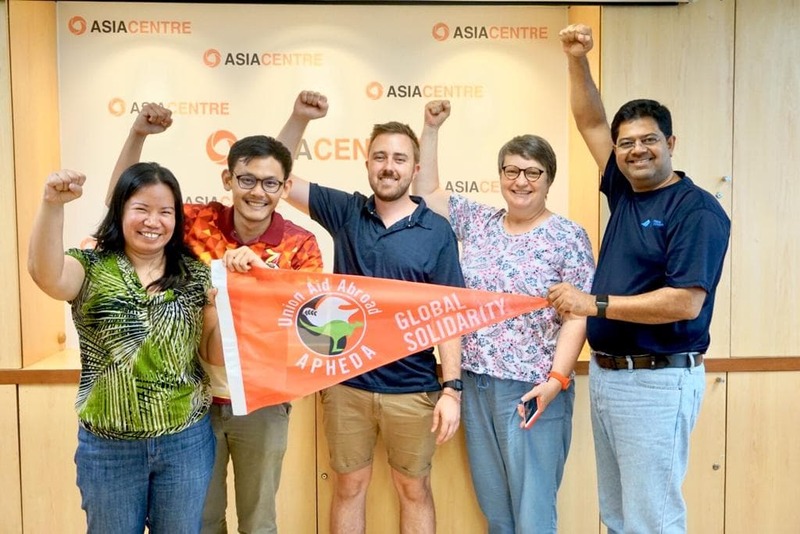 15 November 2018 – The return visit by Union Aid Abroad (APHEDA) Jill Biddington and Tom Addy to discuss collaboration marks Asia Centre successful outreach to activist networks in Australia. 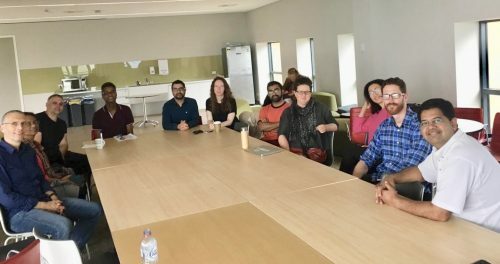 Dr. James Gomez, Chair, Board of Directors of Asia Centre visited Sydney and Canberra from 16 to 21 October 2018 where he gave several public talks and engaged with academics and activists to build solidarity as well as identifying opportunities for policy advocacy in Australia for issues affecting Southeast Asia. 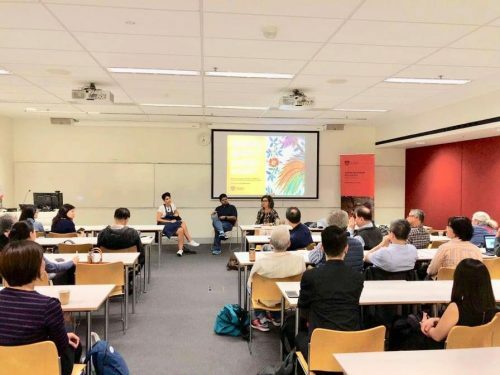 At the University of Sydney, co-hosted by Sydney Southeast Asia Centre and Malaysia and Singapore Society of Australia (MASSA), Dr Gomez spoke on developments in Singapore during the session the joint seminar in Political Contestations in Malaysia and Singapore. 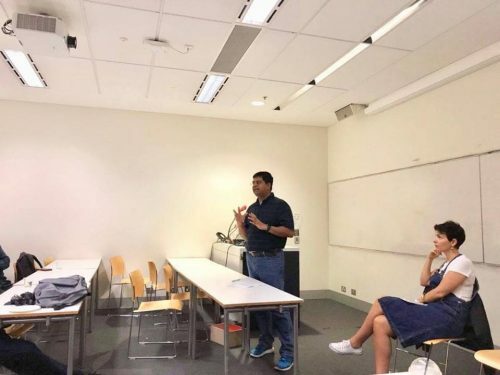 At the Sociology Department of Macquarie University, he gave his insights on “Fake News and Social Media: Freedom of Expression in S.E. Asia” At the Forum “Human Rights and Labour Rights in Singapore: Forum” hosted at Unions NSW Auditorium, Dr Gomez spoke on the need for international solidarity. 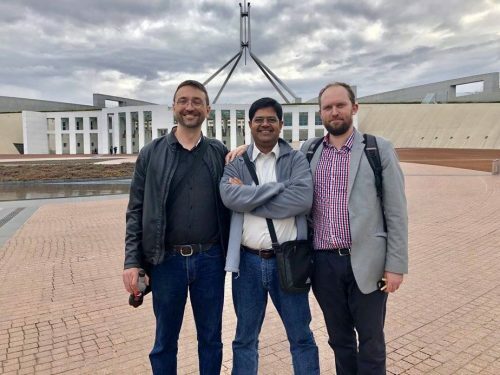 Out in Canberra, Dr Gomez visited the Parliament of Australia with Luke Whitington, of SEARCH Foundation and Dr Nicholas Harrigan, Macquarie University, and had several informal meetings with senators. 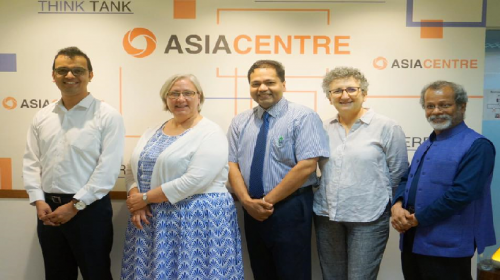 Asia Centre’s outreach Down Under, comes on the back of the Centre’s engagement in the last few years with academics from universities in Australia who have regularly participate in the Centre’s activities. This includes a Roundtable on the Rohingyas Crisis which was co-hosted by both Asia Centre and Monash University. This, in part, is connected to Dr. Gomez’ own association with Monash University first as a PhD student and latter as its Deputy Associate Dean (International Affairs) and Head of the Public Relations Department, Faculty of Arts. 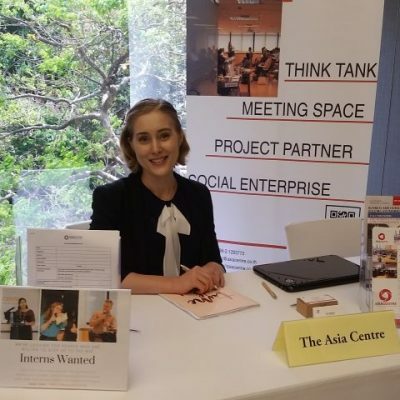 More recently, Asia Centre was the recipient of its first New Colombo Plan Scholar – Elise Schuster an undergraduate from the University of Queensland in Brisbane. Her internship at Asia Centre was supported by the through the Australian Government’s Department of Foreign Affairs and Trade (DFAT). 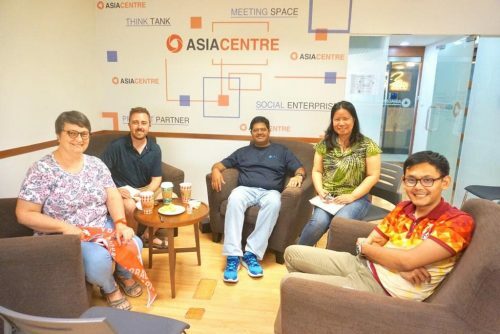 Asia Centre will have a second incoming New Colombo Scholar, Oliver Thompson, will start its internship in 2019. 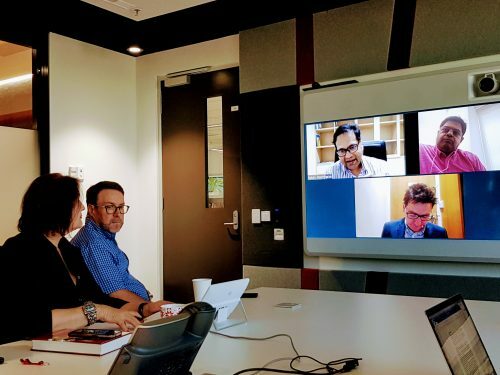 Asia Centre, will continue engage with its Australian networks as part of its efforts increase the Centre outreach beyond Southeast Asia.